The journey to becoming a black belt requires tireless perseverance, physical training and mental strength. 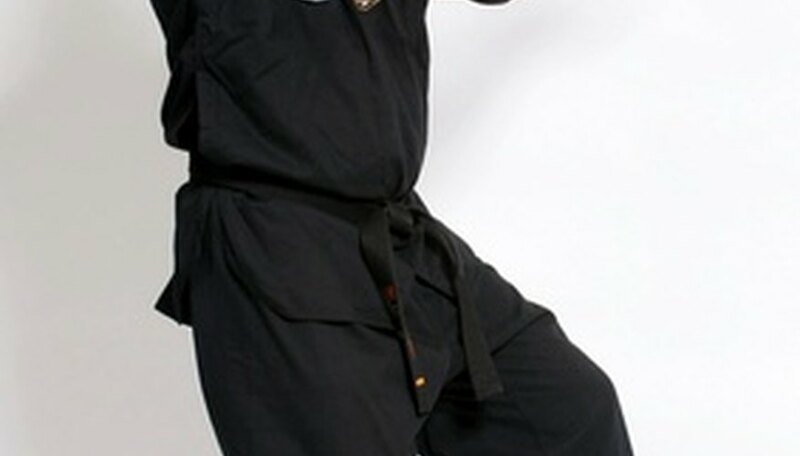 These characteristics come about after years of dedication to martial arts. A black belt essay represents the culmination of your journey, who helped you achieve those goals, and what the experience means to you. This essay should be genuine, open and reflective about what has brought you to the present achievement. This essay will also be the ideal time to thank your Master and the work you have done together. Brainstorm about your martial arts journey. What mental and physical challenges did you face, how did you come to find your master, and what have you learned from your master? These questions will be the central items in the essay and should be composed of the most pivotal or meaningful points in your journey. Read sample black belt candidate essays from other students. Get a feel for how others have constructed their essays. Write an introductory paragraph. The introduction will be set up the central part of the essay. You want to make a strong, consolidated statement about your passion and excitement about being a black belt candidate. You may start by comparing the changes in yourself from when your started martial arts to the present day. Write the body of the essay keeping in mind that you need to address how you have accomplished physical and mental goals central to becoming a black belt candidate. Students often bring up challenges they surmounted, times when they felt overwhelmed or inspired to move forward. Students often discuss their Master's teaching techniques and how they helped the student succeed. Create a conclusion. This section can be devoted to thanking those who have supported you, discussing your future goals in martial arts, or with a comment on the biggest lesson you have learned in your journey. The conclusion should also be very succinct and clear to make a strong impression on the reader. Keep sentences neat and concise. Edit the essay a few times to avoid typographical errors and mistakes. Have a friend read the essay and give you feedback.